Sophomores spend their free time doing homework and enjoying the fresh air now that they no longer attend required study halls. Upperclassmen may remember the lengths that one went to obtain a “golden ticket,” that yellow-colored, index-card sized piece of paper that excused one from a study hall to meet with a teacher. That item, along with the phrase “Do you need a pass?” is now officially an artifact of the past now that most ninth-graders have been released from study hall this semester, joining the tenth graders in free periods. Under the new study hall policy, tenth graders are no longer obligated to attend study hall, and most freshmen only have to attend study hall in their first semester. Other students described study hall to be an unproductive work environment. “I’d do something I hadn’t done the night before and stress about fnishing it. Honestly, I didn’t always work; sometimes I’d watch Netfix or do online shopping,” said one member of the class of 2020, who wished to remain anonymous. “In study halls last year, I worked like three-quarters of the time and talked with friends and hung out for the rest. Some proctors were very strict, but most of them would let us talk a little bit,” said Phil Delise ‘20. Now that they have free periods instead of study halls, some sophomores described still upholding productive work habits, while others engaged in different activities. “With G and H free, I can get a ton of stuff done. It’s a lot easier to meet with my teachers, and I have a lot less homework this year,” said Aisling Kelly ‘20. When students have multiple blocks free, some do different activities during different times of the day. “I have two free periods each day. In one I work, and in one I just hang out. But I still don’t have that much homework when I get home from school,” said Phil Delise ‘20. Ninth graders, who had study halls first term and now have free periods, have begun to adjust to the change. “I’m just as productive as I was with free periods,” said John Aslanian ‘21, “though sometimes I go to the gym, or go online.” “Sometimes, with smaller study halls, I spent a lot of time socializing, while in bigger ones like in B8, I worked. Now that I have frees, I usually go to the library and use a computer to study. I go downstairs, because there are a lot of people in the upper library. I’m more productive during G block than in my other frees,” said Jack Keeley ‘21. 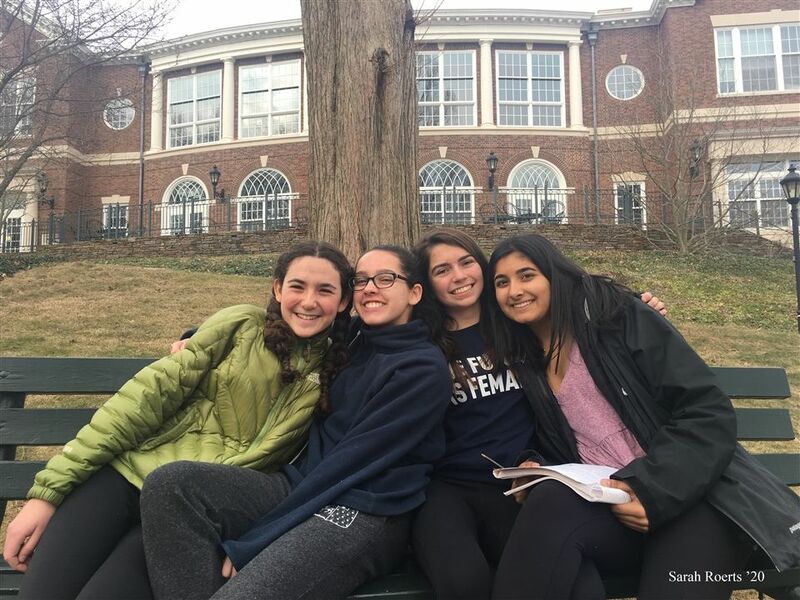 Senior Mentors were asked to proctor study halls all year in lieu of faculty proctors, hearkening back to the Day Prospect Hill (the girls’school counterpart to Hopkins) tradition of senior girls leading classes and study halls of younger students. Senior Mentors asked to proctor were generally positive about their experiences.“It was a valuable experience to learn the line between letting the kids talk and being strict,” said Zander Blitzer ‘18.